Characteristics: The back is flat, the front is domed. Country of Origin: Made in the Czech Republic. 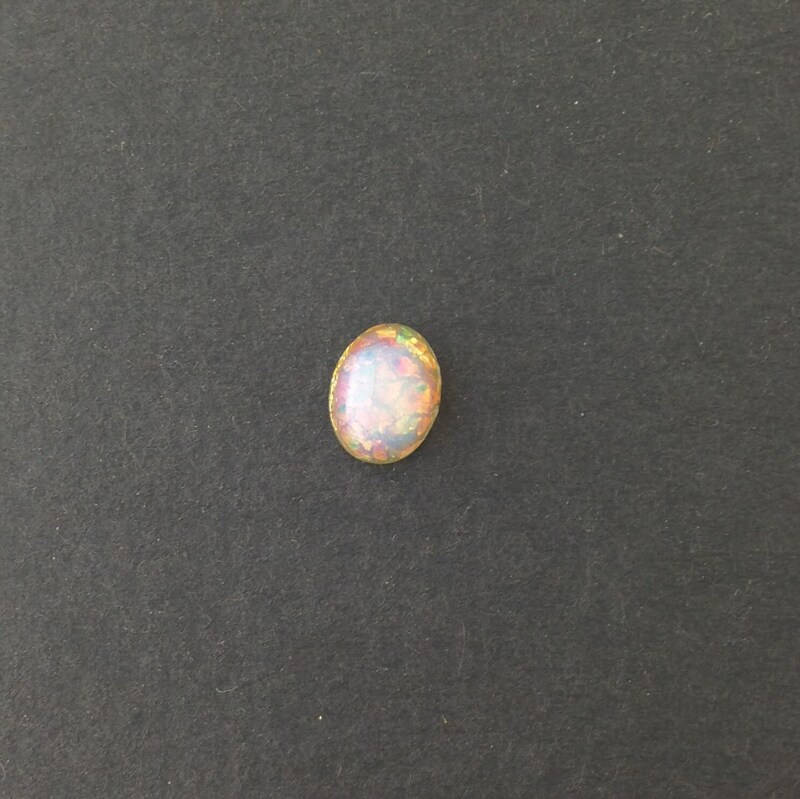 Additional Information: No two opals are identical. So beautiful and arrived so quickly! Highly recommend this seller! Excellent quality, customer service and fast shipping! The stones are beautiful, They are as described. Sizes do differ a bit between the stones, but not a negative really. Using the stones in a custom sword for an action figure is the only reason this mattered. Found the two closest and made it work but adding glue to make them match. The shipping was amazingly fast. Great seller, Thank you for being there when I was looking for something. What you do is appreciated. Truly a Wonderful seller guys. Trust here for your needs. Lovely. Thank you very much.